Although burgundy was really one of thé colors in the winter season last year, I still like to wear it. Because real fashion isn't really about what the magazines tell you to wear, but what you want to wear yourself! 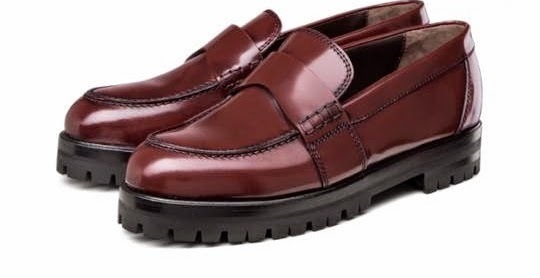 And think about it… Even though it is not explicitly said that burgundy is still one of the main colors this season, you still see it everywhere. Look for instance at these beauties from Attilio Giusti Leombruni. I just loooooooove them!! And even better: they're mine! 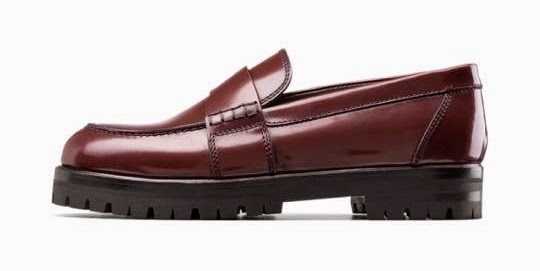 They are the perfect balance between a classic loafer and a creeper. I didn't really had a chance to put them on yet, because of this rainy weather in England, but wait until the festivities start! They are really pretty under a jeans, but I even think I can pull them of under a dress… Let's wait and see! Posted by Astrid at 8:43 p.m.